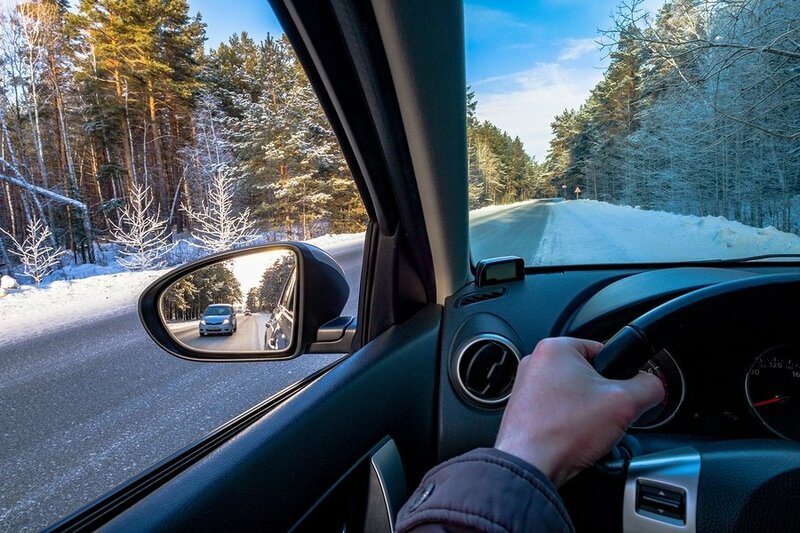 Are you guilty of making these winter driving mistakes? The winter season poses different challenges and issues for you on the road. But staying safe in the winter is more than just making sure your vehicle is ready for the harsh weather. Drivers need to be prepared as well. From how you maintain your vehicle to how you handle it on the road, there are common mistakes many drivers make during the winter. Here is the checklist of the 7 things NOT to do as well as the tips to prevent avoidable problems. Warming the car too long. Letting your vehicle get warmed up for a couple of minutes is fine, but engines are not designed to idle for too long. This can cause build-up on the spark plugs and make them less efficient. Also, this can waste gas. Neglecting to change your windshield wipers. This is often an overlooked item as we tend to let the streaks get worse for a while before we get around to fixing the problem. You should change your windshield wipers as soon as they don’t clear the windshield well. Having low tire pressure. Cool weather makes the air compress inside your tires leaving you with low pressure. Be sure to check for the tire pressure warning light as temperatures begin to dip. In addition, make sure to do a visual check of your tires, especially when we encounter sudden significant drops in temperature. Having a nearly-empty gas tank. Even if you’re not at risk of running out of gas, you may face other problems if you allow your gas tank to get low during the winter. Moist air in a near-empty tank can freeze and crystallize leading to ice in the fuel lines. Using hot water to de-ice. You may be looking for a quick fix to clear your windows from frost, ice and snow in order to get right on the road but dumping a bucket of hot water on your vehicle is not the answer. This can cause your windshield to crack. Be sure your vehicle has a reliable scraper inside. Also keep one in your house if the ice is preventing you from opening your car doors. Even when the roads appear dry, there could exist problems you can’t see, such as black ice. Maintain a steady speed below the speed limit or as slow as conditions warrant. It’s not just a slippery road that could be a hazard, but also other drivers. Winter conditions may cause other people on the road to be overly cautious, or impatient by those who are going slow, so it’s best to give yourself plenty of room between cars to stay safe from those potential dangers. AAA advises that when driving on rainy and snowy roads, you should increase your following distance to 8 to 10 seconds. Slamming the brakes to avoid an accident. Hitting your brakes too hard can make your car spin out of control. When faced with your car suddenly sliding on wintry roads, the best thing to do is stay calm, gently turn the steering wheel INTO the direction you are sliding and then lightly tap the brake. For more information on the best ways to protect you and your vehicle over the winter, check out the National Highway Traffic Safety Administration’s Winter Driving Tips. Collision Center of Andover provides fast, reliable collision repair. Check out our before-and-after examples to see how we can completely fix your dented car. From collision repair, paintless dent repair to mechanical repairs and more, count on the repair experts to get your vehicle running and back in shape.